Floaters find this isolated cottonwood-covered Yellowstone River island an excellent spot to view wildlife, envision the Corps of Discovery?s travel along the river, and hunt for moss agates. 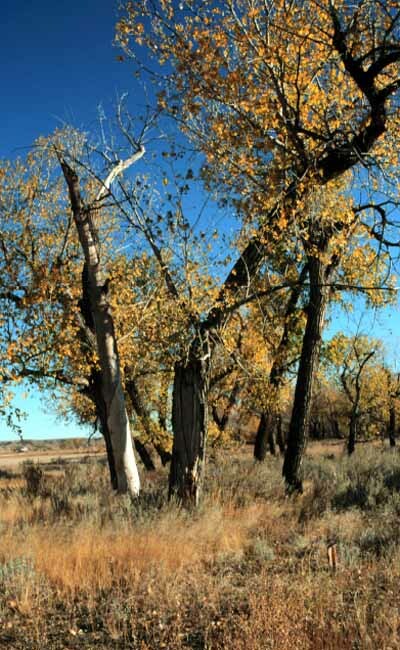 The site is a haven for waterfowl, bald eagles, and whitetail and mule deer. Though there are no designated hiking trails, the site is level and easily walked throughout the entire 269 acres. At 2,371 feet in elevation, this site has no formal development and care is needed when crossing side channels. Crossing is not recommended if water is flowing. Hand launching for lightweight crafts for boating. There are 2.8 miles of hiking trails in the park with eight interpretive signs along the trails. The signage speaks to the island's wildlife and history. 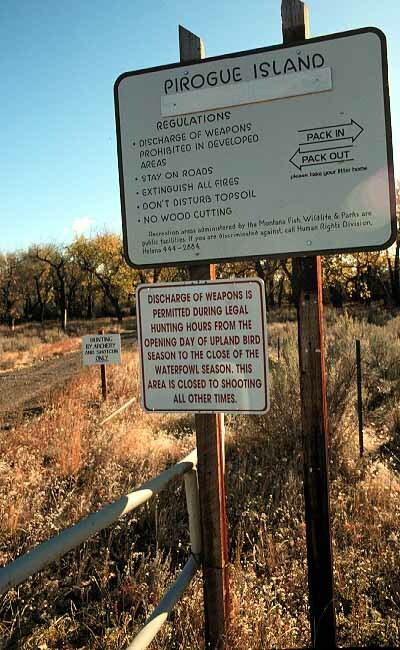 There is no visitor center, camping or staff at this location. Pirogue Island State Park is located 1 mile north of Miles City on Montana 22, then 2 miles east on Kinsey Road, then 2 miles south on county road.